Above video: Scenes from Puerto Princesa’s famous Subterranean River National Park, as well as its towering limestone cliffs. 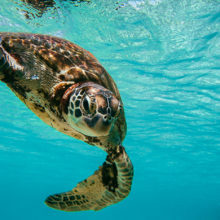 Palawan is where you’ll find awe-inspiring attractions both underground and above. Balai Felicisima, Rizal Ave. Extension, Brgy. Bancao-Bancao; +63 48 723 2123; balaifelicisima.com. This homely B&B boasts comfortable, air-conditioned rooms, each equipped with amenities like a flat-screen cable TV and minibar. But above all, the hostel prides itself on its warm Palaweño hospitality, so you can be assured of top-notch, personalized service – think complimentary daily breakfasts and free round-trip airport transfers. Blue Palawan, Hidden Beach, left at end of B.M. Rd; +63 917 831 4119; bluepalawan.com. This is one of the more surprising city-center hotels, with its unassuming façade opening on to private huts and a hidden beach. Canvas Boutique Hotel, Puerto Princesa North Rd corner San Juan Rd, Brgy. San Miguel; +63 917 807 1360; canvasboutiquehotel.com. This avant-garde hotel has colorful murals by local artists splashed across its interiors. Daluyon Beach and Mountain Resort, Brgy. Cabayugan; +63 917 826 9989; www.daluyonbeachandmountainresort.com. A quiet, peaceful and environmentally-friendly resort mere steps away from the beach. Deep Forest Garden Inn, Abueg Rd, Brgy. Bancao-Bancao;+63 48 434 1702; deepforestinn.com. For comfortable and affordable lodgings. Amenities include three restaurants, three bars and an outdoor pool. Dos Palmas Island Resort & Spa, Arreceffi Island Resort Honda Bay; +63 917 590 4451; www.dospalmas.com.ph. A 20-hectare private island getaway in Palawan, with instant access to pristine beaches and turquoise waters. Go Hotels Puerto Princesa, North Rd, Brgy. San Manuel; +63 48 434 0001; www.gohotels.ph. This budget hotel boasts amenities such as conference rooms, function rooms, a courtyard for parties, and free WiFi. Microtel by Wyndham, Emerald Beach, San Jose; +63 48 723 0977; www.microtel-palawan.com. A glorious boutique hotel away from the city center on Emerald Beach, with delightful staff, bright beachfront rooms and fine food. Provides easy access to some of Palawan’s top attractions, such as the Emerald Playa Pavillion and the Puerto Princesa Subterranean River National Park. One Manalo Place, Manolo St, Brgy. Bancao-Bancao; +63 48 434 1280; onemanaloplace.com. Modern and clean, with an outdoor pool and spa facilities. Purple Fountain Courtyard Inn, 296 Manalo Extension; +63 48 434 2430; purplefountain.weebly.com. Decked out in shades of pink, purple, blue and green, this hostel is as colorful as they come. The European-style courtyard at the center of the premises further adds to the whole eclectic vibe. Tenzai Pension House, Victoria Romasanta St 5, Wecom Rd, Brgy. San Pedro; +63 915 476 0274; facebook.com/tenzai.pension. Tucked away in a quiet residential neighborhood, this pension house feels like a home away from home, thanks to its warm and friendly service staff. It’s ideal for families looking for a simple and cozy abode away from the hustle and bustle of the city center. Tree House Inn, 2/F ARL Building, Malvar St; +63 484 340 005; treehouseinnpp.com. Situated just 2km from the airport, this hip yet homely backpacker’s hostel offers four private and dormitory-style rooms, and amenities that include common hot and cold showers, a shared kitchen, a common TV lounge and complimentary WiFi. Tres Pension House, Purok Molave, Peneyra Rd, Brgy. San Pedro; +63 48 723 1541; facebook.com/trespensionhouse. This cozy garden hotel boasts an eclectic mix of Filipino-Japanese décor, with a Zen-style garden to boot. Its location is a major plus – it’s just 15 minutes away from the airport, and within walking distance of several useful spots, such as Puerto Princesa City Coliseum and Robinsons Place mall. Ysabelle Mansion, 214 Abad Santos Extension; +63 48 723 0992; www.ysabellemansion.com. A rustic and cozy B&B just five minutes away from the airport and city center. Balinsasayaw Chicken Grill and Restaurant, Rizal Ave; +63 48 434 7185. Try the restaurant’s coco noodles made from coconut flesh, as well as its signature bird’s nest soup. Bona’s Chaolong, Manalo St; +63 48 434 8420. This Vietnamese-inspired restaurant is a local favourite, with dishes like chaolong (Vietnamese noodle soup with toppings) and banh mi (sandwiches made with baguettes). Ima’s Gulay Bar, Fernandez St; +63 920 533 3210. Offers some of the best vegetarian fare in the region. Industriya, Km 3 Tiniguiban; +63 48 433 0782. A buzzing party den opposite Robinsons Place mall, which flaunts designer cocktails, slick design and performers from Manila. Ka Inato Restaurant, Rizal Ave, Brgy. Bancao Bancao; +63 48 434 2288. A pleasant, open-air restaurant staffed by people with disabilities – so pick up a phrase or two from the sign language boards on the walls. KaLui Restaurant, 369 Rizal Ave; +63 48 433 2580; www.kaluirestaurant.com. Arguably the most popular restaurant in Palawan, with fresh seafood, native-style decor and a quirky no-shoes policy (so you’ll have to dine barefoot). Reservations are highly recommended. Katabom Bar, Rizal Ave Extension, Brgy. Bancao-Bancao; +63 48 434 1848; facebook.com/katabom.bar. Down a few ice-cold beers while listening to live music. Kinabuch’s Grill and Bar, Rizal Ave, Brgy. Bancao Bancao; +63 48 434 5194. A homely restaurant offering exotic native fare, including breaded tamilok (woodworms that taste like oysters) and croc adobado (crocodile meat stewed in coconut milk, seasoning and spices). La Terrasse, Rizal Ave, Brgy. 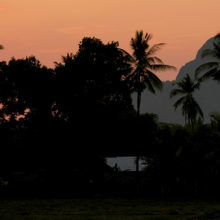 Bancao Bancao; +63 48 434 1787; laterrassepalawan.com. This garlanded restaurant plates some of the best Palaweno food on the island. It prides itself on using only the freshest organic ingredients, with no additives. Palaweño Brewery, 82 Manolo St; +63 48 725 6950; palawenobrewery.com. The first Philippine craft brewery founded and run by two women, it produces a range of homegrown beers. Daily afternoon tours (except Sundays) showcase the house brews with tastings and food pairings, and there’s extensive outdoor seating space a few steps from the indoor bar. Rene’s Saigon Restaurant, Rizal Ave Extension, Brgy. Bancao-Bancao; +63 48 433 5255. One of the best places for authentic Vietnamese cuisine in Palawan. The Loft, Abrea Rd, Brgy. Bancao Bancao; +63 48 434 0791; theloftpalawan.com. Enjoy French fare like beef tartare, salmon en papillote and more at this lounge and restaurant. The Painted Table, Palawan North Rd corner San Juan Rd, Brgy. San Miguel; +63 917 807 1360. A cozy, congenial restaurant, with home-cooked Filipino and Western comfort food prepared with local ingredients. Asiana Arts and Crafts, Rizal Ave; +63 48 434 8167; facebook.com/asiano.palawan. Where you can find the best tribal crafts, from jewelry to home décor. Baker’s Hill, Mitra Rd, Brgy. Sta. Monica; +63 48 433 4314. A little hill with a viewing deck, pizza house, souvenir shop and, of course, a bakeshop selling an assortment of pastries. Binuatan Creations, Bougainville Dr corner Rafols St, Brgy. Sta Monica; binuatan.com. If you’re after high-quality local pasalubong, head for the handlooms at this weaving co-operative, which was set up in 2002 to provide local women with artisanal skills and earning potential. Souvenirs like placemats, coasters, purses, blinds, bags and fans are on offer. Diving. Island Divers Palawan (www.islanddiverspalawan.com) provides guided dives at popular spots like Pete’s Reef, and Galo’s Wall and Tablehead. Dolphin watching. Dolphin and Whales Travel and Tours (www.dolphinandwhales.com) organizes expeditions where you can watch dolphins play in the waters of Puerto Princesa Bay, and swim with the whale sharks. Honda Bay. Take a catamaran and spend a full day island-hopping and exploring the bay’s beautiful islets, such as Cowrie Island, Pambato Reef and Starfish Island. Go snorkeling, and you’ll see groupers just a few steps from the shore. Iwahig Firefly Watching Tour. Take a boat tour of the river at night, where you’ll get to see dozens of bright and beautiful fireflies lighting up the mangroves. Book through a local operator or tour agency; tours start from 7pm. Iwahig Prison and Penal Farm, Puerto Princesa South Rd. Browse and buy unique souvenirs handcrafted by prison inmates. Kiteboarding. Kite Club Palawan (+63 916 546 9125; www.kiteclubpalawan.com) offers private and group kiteboarding lessons. Lawiswis Organics, Iratag, Irawan; +63 920 299 0956; lawiswisorganics.wordpress.com. An organic farm that manufactures herbal soaps and other toiletries made from locally-grown herbs and produce. Palawan Butterfly Eco Garden and Tribal Village, South National Highway, Brgy. Sta Monica; +63 91 7597 5544. Here, blue-winged butterflies and bearcats make a swoonsome spectacle. The real draw, however, is the Tribal Village, occupied by families from the Palau’an indigenous group who showcase tools of their rural lifestyle such as guitars, crossbows and flint lighters. Palawan Heritage Center, Provincial Legislative Building, Fernandez St; +63 48 434 7524; facebook.com/PalawanHeritageCenter. For only PHP50, you’ll receive a witty whistle-stop tour of the province’s history, including a re-creation of one of the island’s earliest inhabitants, Tabon Man. Palawan Special Battalion World War II Museum, Rizal Ave Extension; +63 91 7545 4052. This intriguing museum tells how the Japanese occupation affected local people. Palawan Wildlife Rescue and Conservation Center, National Rd; +63 48 433 2968. Get up close and personal with crocodiles (hundreds of them! ), snakes, bearcats, and other animals. You can have your picture taken with a baby crocodile for a small fee. For some serious action, come at feeding time, around mid-afternoon. Puerto Princesa Subterranean River National Park. 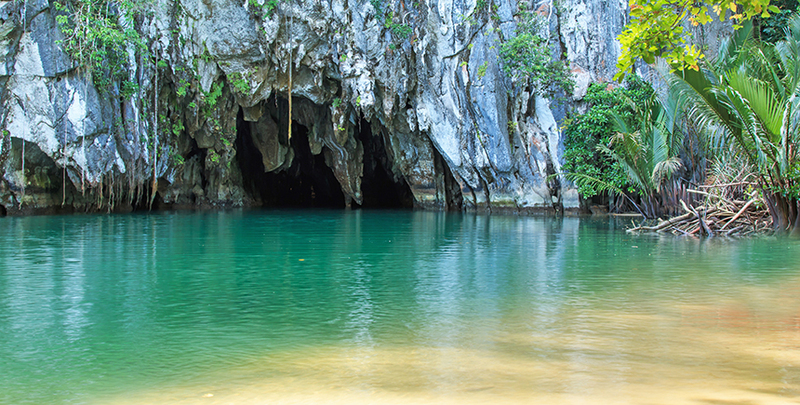 The top tourist attraction in Palawan, featuring a majestic limestone karst landscape and an 8.2km-long underground river. It’s a two-hour bumpy ride and a 20-minute boat trip from Puerto Princesa, but the rewards are absolutely spectacular: cathedral-like caverns with stalagmites and stalactites that resemble the Virgin Mary, a melting candle, the face of Jesus and a resting Pegasus. Rurungan sa Tubod Weaving Foundation, Abanico Rd, San Pedro; +63 917 851 4081; www.rurungan.org. Support women in Palawan’s poverty-stricken rural areas by purchasing their pineapple and silk textiles. Viet Ville, Brgy. Sta Lourdes; +63 920 220 8694. A ramshackle micro community conceived in 1996 by the Catholic Church’s Center for Assistance to Displaced Persons to rehouse “boat people” living in refugee camps. Though it’s now largely a ghost town, five households remain, some with young children; and since the souvenir shop has fallen into disrepair, the restaurant, strewn with Vietnamese conical hats, fans, drums and guitars, has become the village’s lifeblood.